FREE Taster Sessions | Beth Tweddle Gymnastics (formerly Total Gymnastics) Cookies Policy. 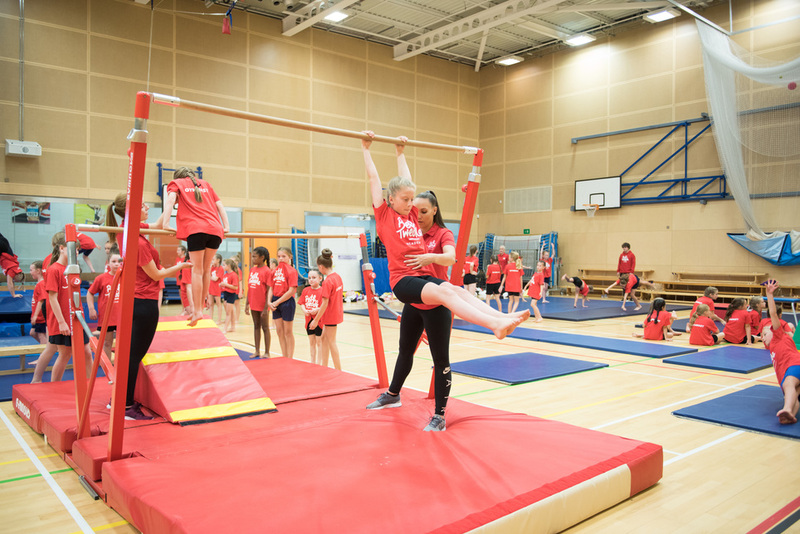 Last year, we delivered gymnastics sessions to over 25,000 children across the UK, so for 2019, we’ve set our sights on giving even more children the opportunity to try gymnastics and join in the fun! Beth’s aim has always been to inspire a generation of gymnasts and would love every child to have the opportunity to get involved in gymnastics. That’s why this year, we are offering a FREE Taster Session to all children, so they can try gymnastics and see first-hand why we love it so much! Delivered by our passionate, highly qualified coaches, our programme is designed for gymnasts to have fun, make friends and learn new skills in a supportive, safe environment – you will even collect badges along the way. Your FREE taster lesson will be a minimum of one hour long and will give your little one the chance to take part in one of our fun, engaging lessons with girls and boys of the same age. Your child will get to experience our state of the art equipment, develop new skills and grow in confidence. You will also have time to ask our coaches any questions and will of course have the opportunity to join the Beth Tweddle Gymnastics family. After your taster session we will hold your priority space for 24 hours should you want to join us and continue your gymnastics journey. TO BOOK a taster session at your local Beth Tweddle Gymnastics venue, please call our customer service team on 0161 979 0611.